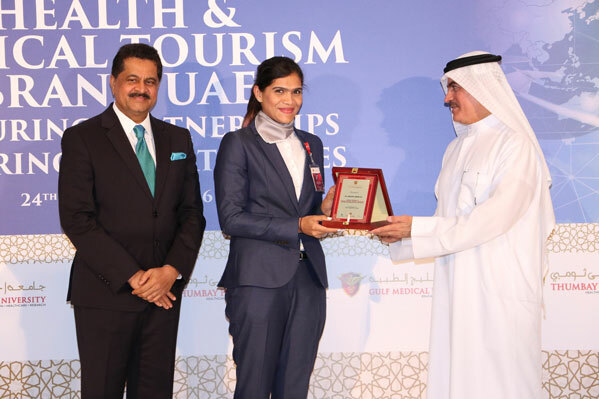 The UAE is witnessing a boom in medical tourism, and a key focus on not only the clinical requirements but also hospitality requirements are needed to ensure medical tourists and their family members are comfortable, noted the 3rd Annual Health & Medical Tourism Conference held at Dusit Thani Hotel, Dubai on 24th November 2016. 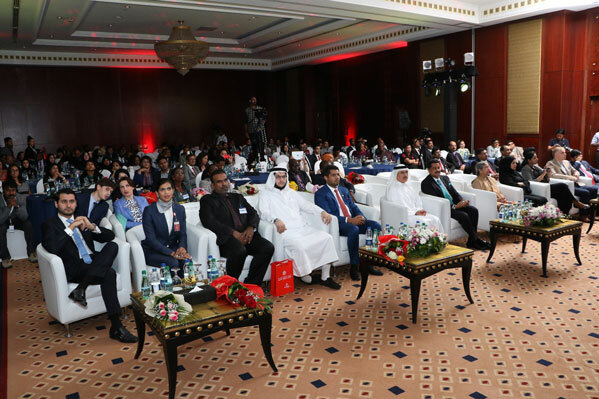 Presided by Mr. Thumbay Moideen, Founder President of Thumbay Group, the conference welcomed His Excellency, Dr. Amin Al Amiri, Assistant Undersecretary for Medical Practice and License Sector, Ministry of Health – UAE as the chief guest. The thought-leadership conference was also attended by government officials, medical tourism experts and representatives from the embassies of Ghana, Nigeria, Kenya, Somalia, Angola, Eritrea, Ethiopia, Chad, Djibouti, Cameroon, Zimbabwe and Tanzania. The conference also noted that technology would lead the way in future for Medical Tourism. The country’s strategic geographic location at the heart of Asia and Africa, connecting the east to the west – along with its plethora of low-cost flights, affordable accommodation, and attractive neighboring tourist cities – will be enough to tip the increasingly competitive battle for medical tourism in UAE’s favour, experts said. Delivering the keynote at the conference, Ms. Linda Abdullah Al Ali, Head of Medical Tourism Office, Health Regulation Department, DHA said that the country was well-equipped to serve its increasing numbers of medical tourists, with Dubai alone expected to see more than 500,000 medical tourists by 2020. 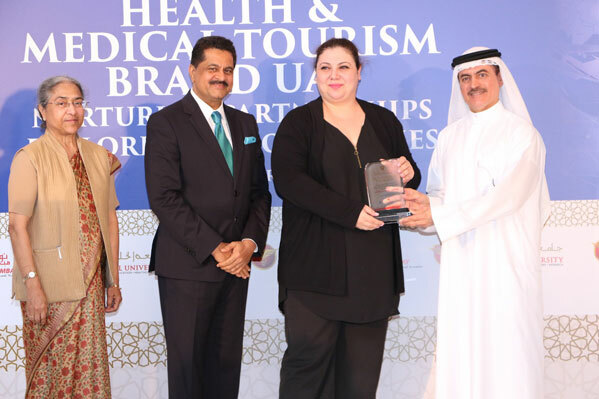 “The UAE has turned into a hub for medical tourism and it has worked very hard to achieve this status. Both the public and private sectors have been rolling out plans to build more hospitals, train medical staff and recruit highly-qualified expatriate doctors and medical staff to deliver the quality services. The healthcare infrastructure in the UAE has grown and stretched in a manner that could be compared with those of advanced countries,” she added. 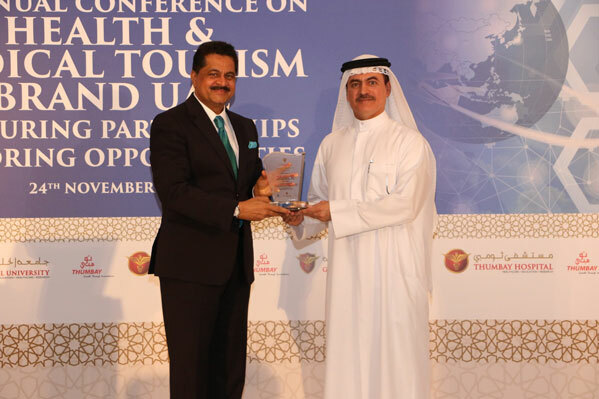 Leading medical tourism experts were presented with special awards at the conference. The conference also featured expert talks on the emerging trends and opportunities in medical tourism. Topics included: Emerging Opportunities and Challenges of Medical Tourism in the UAE, Healthcare Marketing Strategies for Medical Tourism Sector, New Destination Branding in Medical Tourism – What Matters, Contributing to the Success of UAE Medical Tourism – Thumbay Medical Tourism Experience, Medical Tourism Insurance, Contribution of Specialized Educational Institute (Gulf Medical University) in Promoting Medical Tourism in the UAE. A round table meeting, moderated by Dr. Anil Bankar (Assistant Professor, Medical Tourism, College of Allied Health Sciences, GMU) and Dr. Benazir Ameer Ali (Director, Thumbay Medical Tourism) discussed the strategies to position UAE as a leading brand in medical tourism’. 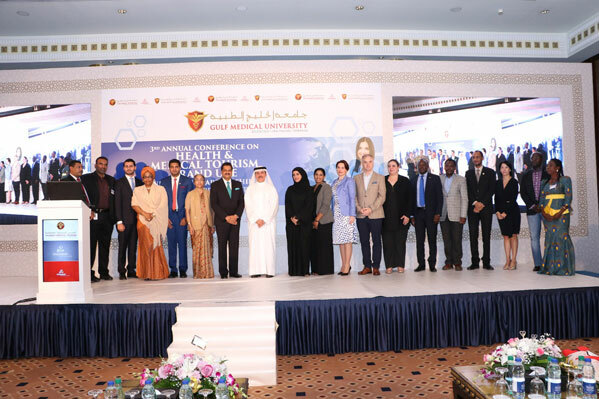 Dr. Layla Al Marzouqi (Director, Health Regulation Department, Dubai Health Authority), Dr. Saif Al Jaibeji (CEO Middle East & Africa, UnitedHealth Group) and representatives from the various embassies took part in the discussions. H.E. Dr. Hussein Al Amiri awarded certificates to the graduates of the ‘Medical Tourism Facilitator’ course of Gulf Medical University. Formally launched last year, the course is a first-of-its-kind in the region to nurture medical tourism professionals with the requisite skills to act as the focal point of the process, by linking overseas patients to medical providers and looking into their travel, transportation and tourism needs. Earlier this month, Thumbay Group also signed an agreement with Satguru Travel and Tourism to establish the former’s representative offices in 50 locations across the globe. This is being undertaken in an effort to promote Thumbay Group’s healthcare and education infrastructure. Thumbay Group delivers healthcare services through its hospitals in Ajman, Dubai, Sharjah and Fujairah, a 25-chair dental hospital in Dubai, five state-of- the-art Thumbay clinics and Thumbay labs (Ajman, Dubai, Sharjah, Ras Al Khaimah and Umm Al Quwain); in addition to outlets of Thumbay pharmacies across the UAE. A 400 bed ultra-modern hospital, a 60-chair dental hospital and an advanced rehabilitation center in Ajman are upcoming projects expected to be completed in 2016/2017, which will take Thumbay group’s healthcare services several notches higher. The network of hospitals and clinics are among the largest healthcare providers in the UAE, providing care for patients from over 175 nationalities. Staff from over 22 countries speaking over 50 languages attend to patients. Hospitals with JCI accreditation, CAP accredited laboratories and multiple medical tourism accreditations and memberships are some distinctive features of Thumbay Group’s healthcare facilities.